Thank you for a wonderful summer / fall 2018 food truck season! 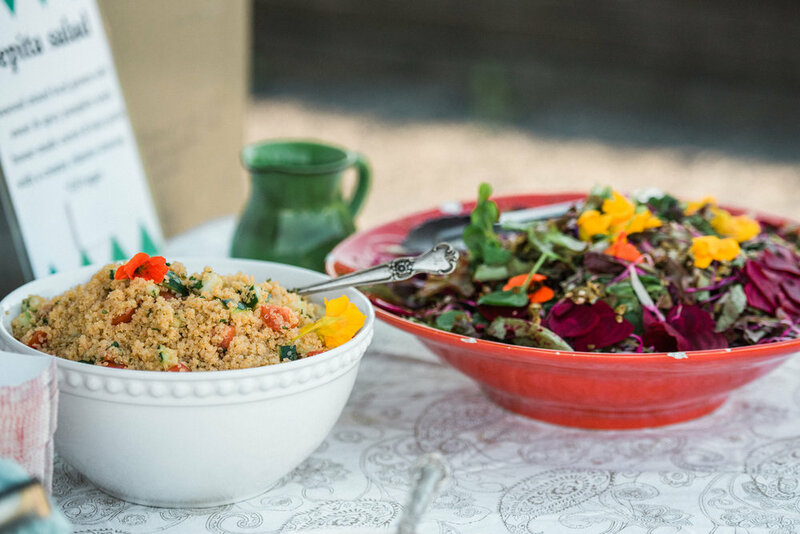 Follow along as we launch THE GOODS CATERING with expanded offerings for 2019. In addition to the classic Good Truck taco menu and service from the truck we’re offering an expanded menu with full-service, buffet, and drop-off catering options. We love a good party with tasty food! After 8+ successful years serving the greater Ithaca area as The Good Truck, we are expanding and raising the bar on our catering offerings. As The Goods Catering we offer a wide range of beautiful, un-fussy, affordable menu selections and service options, including our classic “gourmet Ithaca-Mex” fare served from the truck and beyond. 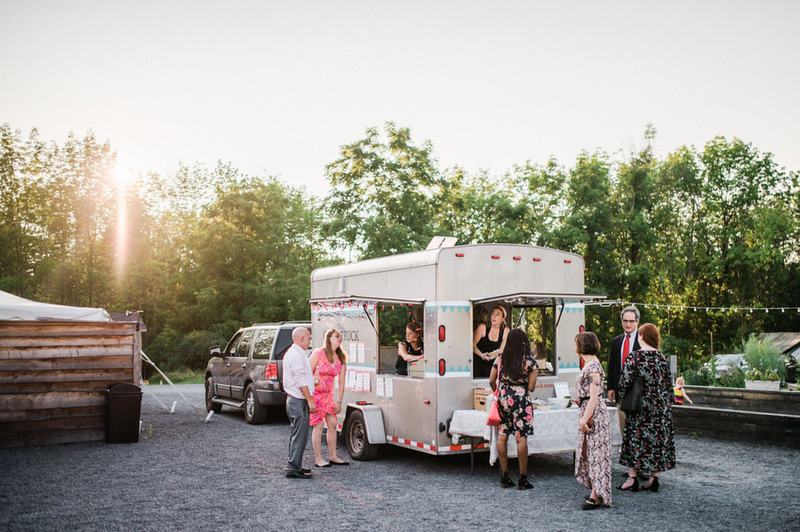 The Goods Catering (with or without The Good Truck in tow) is available for your wedding, party, rehearsal dinner, business luncheon, brunch, or special event. Guided by the same values and standards that have always inspired our endeavors: high-quality, made-from-scratch, locally-sourced, delicious fare with casual, friendly, and attentive service we offer selections to suit all sorts of events. 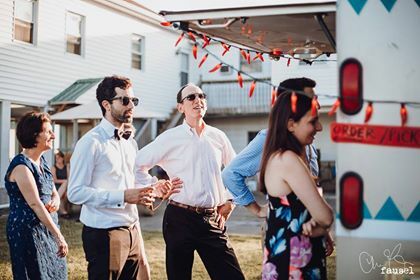 We are available year-round to cater events of all sizes with a range of service options to choose from including: full-service and buffet catering, drop-off, and on-site catering directly from The Good Truck (always a fun addition!). We love working with clients to put together the perfect, custom-tailored menu for your event! If there’s one thing we know it’s that delicious, local-gourmet food is a sure fire way to make your event memorable and delightful! We're also available to vend at festivals, wineries, and other community events in the greater Ithaca area. Interested in a custom catering quote? Click here to tell us about your event & we will happily send you one! Spring / Summer 2019 dates are filling up quickly so get in touch ASAP! We are grateful to the amazing local farmers & producers who supply our ingredients! 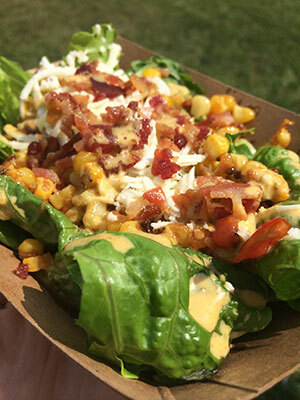 The Goods Catering & The Good Truck are a unique Finger Lakes outfit, serving up a wide range of locally-driven gourmet fare at weddings, festivals, special events, pop-ups and more! 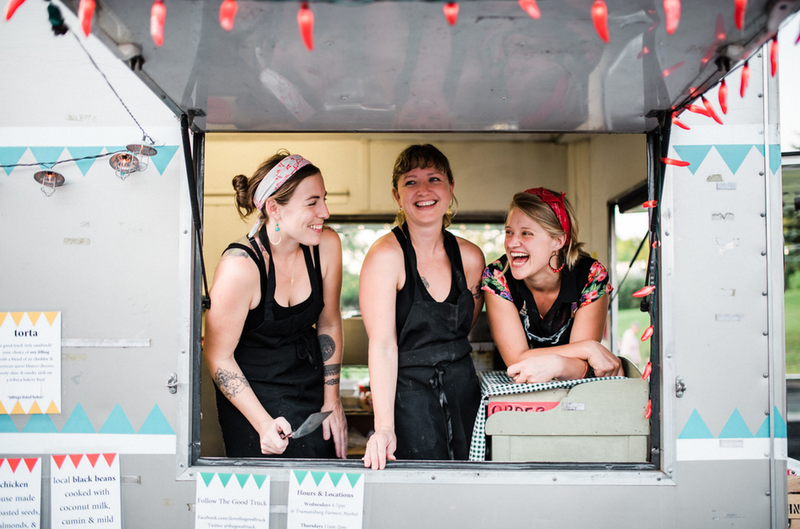 The Good Truck was established by friends Mandy Beem-Miller + Lily Aceto in the fall of 2010 with a simple vision: a fast-food setting with a slow-food attitude. After years of working in various cooking, farming, & restaurant gigs the world over, the two came together, back home in the Ithaca area, to create a local foods driven taco wagon. Inspired by many of their previous jobs, collective love for enjoying a good meal, and the bounty of Finger Lakes growers and producers, The Good Truck was born. Knowing that fresh, seasonal food just tastes better is part of the equation, so is the fact that eating local benefits the community, the body, and the planet. Just about everything The Good Truck serves up is homemade, from scratch, using the freshest, localist, most seasonal ingredients, no malarkey. The Good Truck cuisine has been given many designations from Ithaca-Mex to locavore-fusion to gourmet hot truck and beyond. Some people simply call it the Taco Truck. What ever the description, our classic menu features locally produced goods with a definite Mexican flare. After 8 successful years serving tacos & more out of our sweet 7×17 V-nose trailer at special events, weddings, & more we’ve decided to expand! 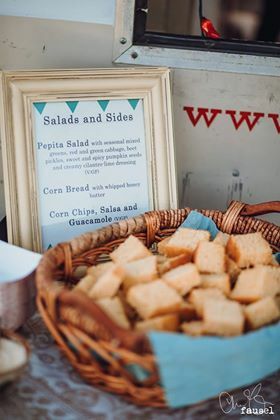 The Goods Catering builds on our classics and offers a greatly-expanded selection of appetizers & tapas, lunch & dinner menus, breakfast & brunch offerings, desserts & sweet treats, & more. We are also offering more service options, including our fun, classic “directly-from-The Good Truck” option. We now offer on-site and buffet catering, and drop-off and a range of casual, disposable to more formal, rented china dish ware options. The Goods Catering &/or The Good Truck are available for festivals, weddings, and special events of all sizes! © Copyright 2016, the Good Truck. All rights reserved.